A double serving of Creamery Station in one night! We will be performing two distinctly unique shows in Fairfield County barely a stone’s throw from each other. Summer’s not over yet! 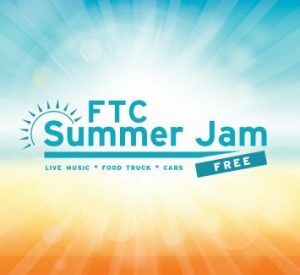 Come to FTC for another great outdoor Summer Jam. From 5-7:30PM enjoy Live Music with Creamery Station, Cool BMW’s, Tastings with Two Roads Brewery and Jack Daniels, Two Bills Grill Food Truck, and more! Come join us and keep the summer vibe alive!